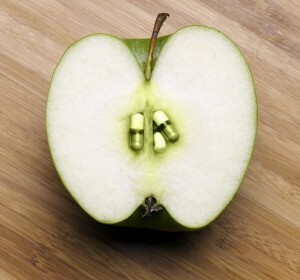 Current research supports the premise of food as medicine. The risk of health concerns and diseases has increased dramatically over the last thirty years and the trend is changing. Farm to table is retro when you consider how we emerged from an agricultural society. It’s not really a new way of eating but a fresh way of thinking. The largest food companies in the world are trying to figure this out. General Mills and other major cereal brands have seen a decline in cereal buyers and eaters. This may have something to do with why General Mills bought Annies for $820 million recently. They saw the changing trends and the need to be more relevant and do it quickly. This example and many others in the food industry are a result of companies looking at the qualitative research. Whether you call it real food, whole food or superfood, its comeback is real and it’s a result of paying close attention to consumers and what they buy and what they need to live healthier lives. The role of research is critical for marketers to better fully understand what people are thinking and, more importantly, what they are buying. Farmers Markets are abundant, alternative medicine more integrated into our daily lives than ever before. Certainly there are people still basing their diets on old food pyramid models not thinking they could be harmful. Consider how many children and adults are lactose intolerant, allergic to wheat and don’t realize their options. The research tells us there are more options than ever and they all begin starting with whole, real foods and then dive into the superfoods. And, guess what? Grocery chains have grown their footprint with larger options for local, organic, and exotic fruits and vegetables. Aisles of healthy options are more prominently placed within the store. It’s not just Whole Foods and Trader Joes anymore. Now it’s Wegmans, Walmart and Publix. Why? They watched the trends and followed the research. Healing and medicine are topics of the day. Living in a fast-paced, ultra-scheduled world often doesn’t leave time for planning and preparation. As marketers our role is to provide the insight to guide the messaging to better health. Food as medicine is a great place to begin. Is your go-to-market strategy hungry for the latest trends and relevant messaging? The Research Group’s discovery process can help ensure your messaging and offerings are relevant to your customers. Contact us today to learn how we can provide you with innovation through discovery. This entry was posted on Tuesday, September 30th, 2014 at 6:58 pm. Both comments and pings are currently closed.